U.S. taxpayers have been footing the bill to keep criminal immigrants on American soil… but now we know just how much that costs. 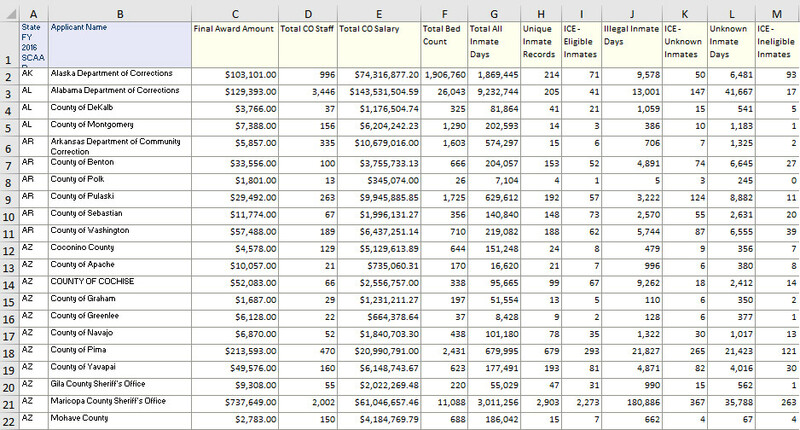 On May 17, analysts for the Colorado Department of Corrections released an expense report showing just how much the state allocated toward maintaining a federal program called SCAAP (State Criminal Alien Assistance Program). SCAAP was enacted nationwide in 1994 to reimburse states and certain localities for some of the costs associated with incarcerating "criminal migrants" – immigrants, both legal and illegal, with criminal records. Former President Bill Clinton signed it into law. But what Colorado's Department of Corrections revealed Wednesday was that SCAAP has cost taxpayers in the state a whopping $522 million since its enactment 23 years ago. In FY2015 alone, $59.7 million taxpayer dollars went to imprisoning 1,992 criminal immigrants across the state. That's roughly $29,000 per inmate that year. Just a year later in 2016, that number jumped to $37,958 per inmate. You see, further research into the Colorado Department of Corrections' report revealed the math behind the taxpayer costs – and just how much the state received from the federal government. In 2016, the federal government granted Colorado $2,077,720 explicitly to imprison criminal immigrants. No matter where you live, that's your money. It doesn't take much imagination to figure out that if the U.S. taxpayer is giving Colorado $2 million for its incarcerated immigrants, the cost for all 50 states must be much greater. 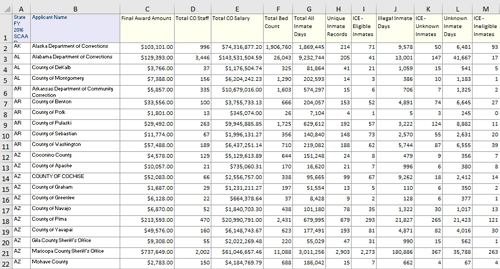 One look at the U.S. Department of Justice's "SCAAP FY2016 Award Details" spreadsheet is proof enough of that assumption. Indeed, the program's 2016 budget was a whopping $210 million. 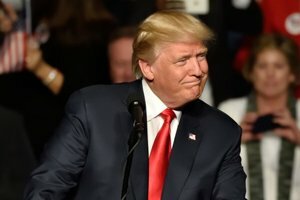 On March 16, 2017, President Donald Trump announced plans to cut much of SCAAP funding at the federal level. Though there's no concrete date on when these cuts will be made, this overall shift in funding would put 100% of the cost burden to keep criminal immigrants in American jails solely on the states and localities who house them. Cutting the program, of course, does not mean cutting the number of both legal and illegal immigrants with criminal records in American prisons. If anything, residents of states with high numbers of incarcerated immigrants will now feel more of a burden. If you live in such an area, you can expect that your state or locality will be looking to you to pay even more of their bills. One major factor behind rising prison costs is the mass incarceration of individuals busted for selling and growing marijuana – a legal substance in many states now. And as more states legalize the plant, more big paydays for investors will roll in – especially from small pot startups.